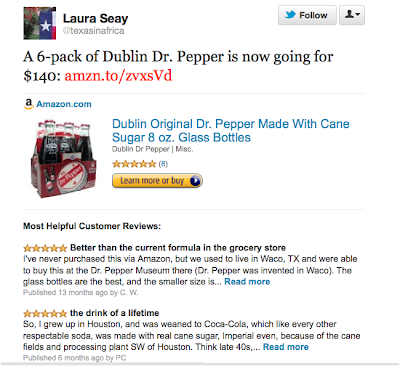 In case you haven't heard the sad news about the results of the Dublin Dr Pepper lawsuit you can read about it HERE or HERE. The bottom line is that there will be no more Pure Cane Sugar Dublin Dr Pepper. Cool, huh? Well, forget about it. While they'll still be bottling soda the old fashioned way, none of that soda will be the sweet, sweet Dr Pepper that we've all grown to love.